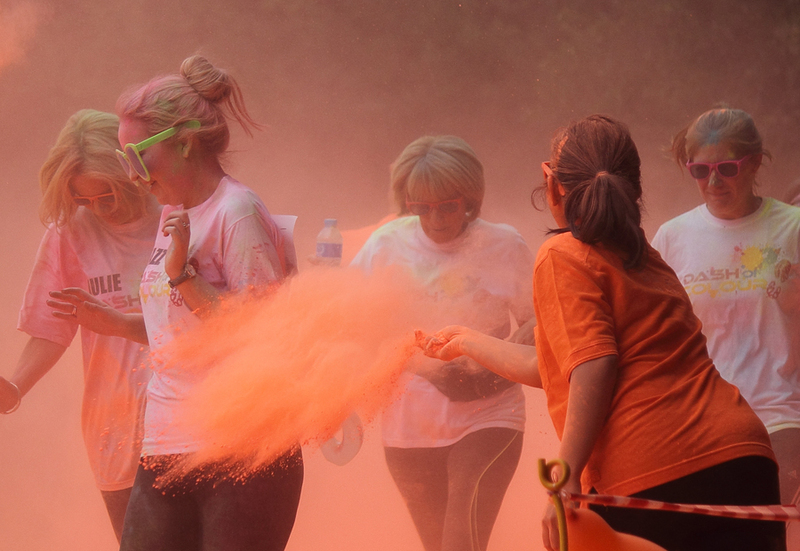 A Dash of Colour goes a long way! Phyllis Tuckwell Hospice provides supportive and end of life care for patients and families affected by cancer or other serious progressive illnesses, across the whole of West Surrey and part of North East Hampshire. Every day its staff and volunteers support over 250 patients and relatives, through a mix of medical care, nursing, therapies, counselling, social work and practical support. 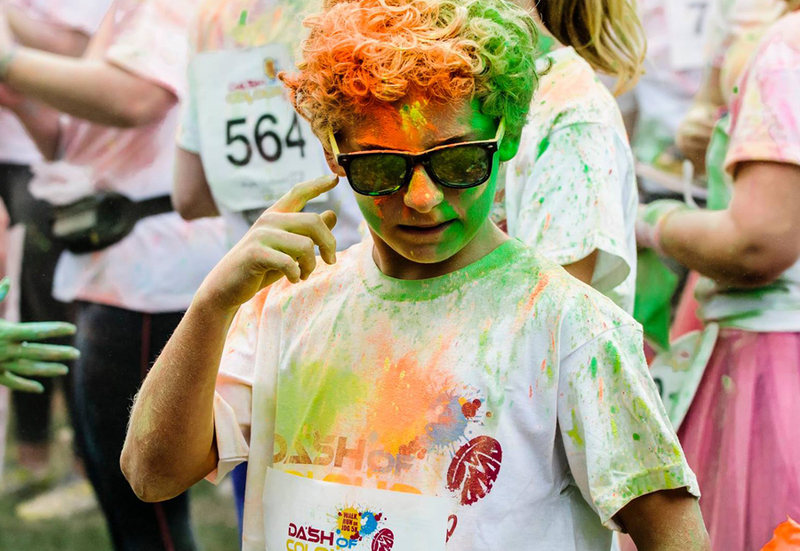 We’ve worked with Phyllis Tuckwell Hospice for many years across different projects including this striking logo design for their popular fundraising event ‘Dash of Colour’. 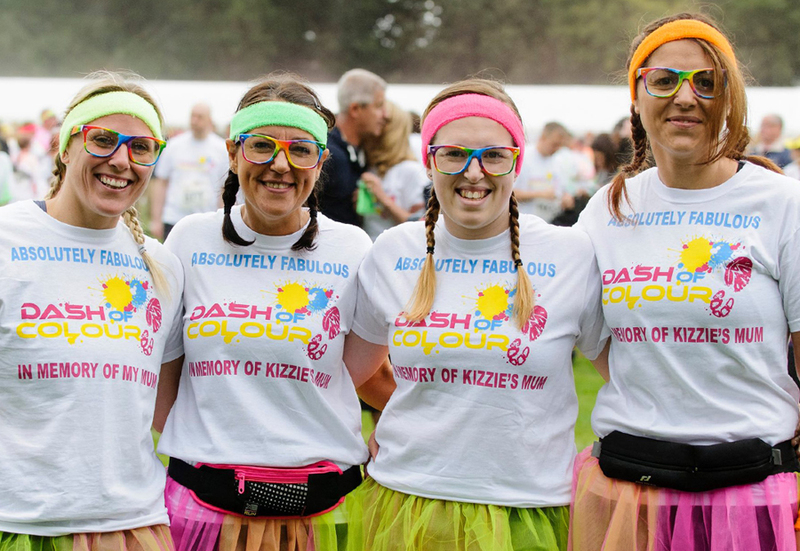 Our inspiration came from the colour and nature of the event and the brilliant work that the Hospice does for patients and their families, as it cares and supports them through the most difficult of times. Our design work for this can be seen on promotional banners, advertising, t-shirts and social media channels…Dash of Colour and our logo have become a regular part of the charity’s fundraising calendar and last year 1200 participants of all ages ran, jogged or walked the five kilometre route, to raise funds for the charity.